Celestial Mistress tells the tale of Nadia, a Soviet Cosmonaut/KGB agent who landed on Mars in 1971 only to discover an ancient, buried civilisation. Celestial Mistress is a mature and carefully thought through concept EP, all wrapped up in the heaviest of riffs. We can ensure you that it won’t leave anyone who’s interested in Doom, Stoner, Fuzz orientated music disappointed, this EP won’t pass by unnoticed. Just the fact that Esben Willems from Monolord/Berserk Audio is the guy behind everything from recording to mastering should assure anyone that the end result is nothing else but top notch. 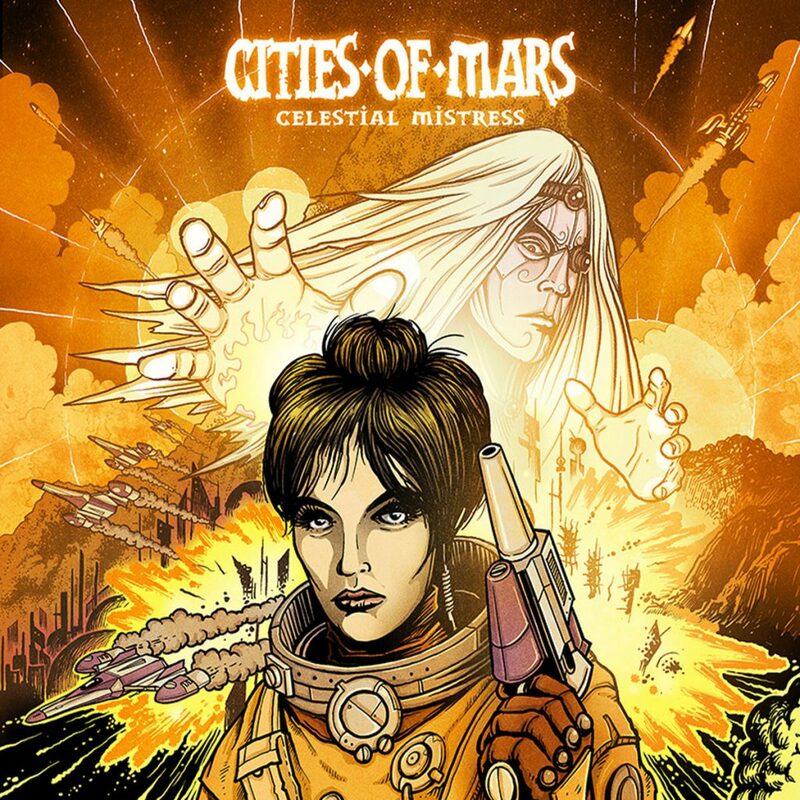 Let’s just say that Cities of Mars have just made a pretty big dent in the world of heavy riffs! Recorded, produced, mixed and mastered by Esben Willems/Berserk Audio.